A thief who targeted bikes outside a university building in Brighton made the wrong choice when he rode off on a 'bait' bike fitted with a tracking device. The bike was placed by police as part of Operation Ensnare, which is tackling cycle theft in the city and particularly around the universities. On February 11, 2018, the tracking device was activated just after 5.30pm outside a college building in Pelham Street. It was traced to an address in Gloucester Street. Enquiries led to the arrest of Stoner on March 8, 2018. 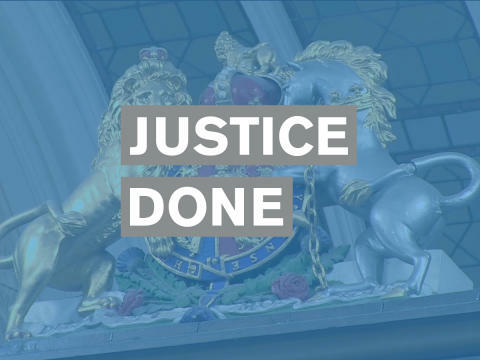 His guilty plea was taken into account in sentencing and he received a 12 month conditional discharge for the offence and was ordered to pay costs of £105 and a victim surcharge of £20. Operation Ensnare is an on-going initiative launched in September 2017 and in its first three months, reports of pedal cycle thefts dropped by 48 per cent across the city. In east Brighton, thefts were down by nearly three quarters over the same period. Anyone with information about offenders or who wishes to report a theft is encouraged to do so online or by calling 101 quoting Operation Ensnare. Alternatively, you can contact the independent charity Crimestoppers anonymously on 0800 555 111.